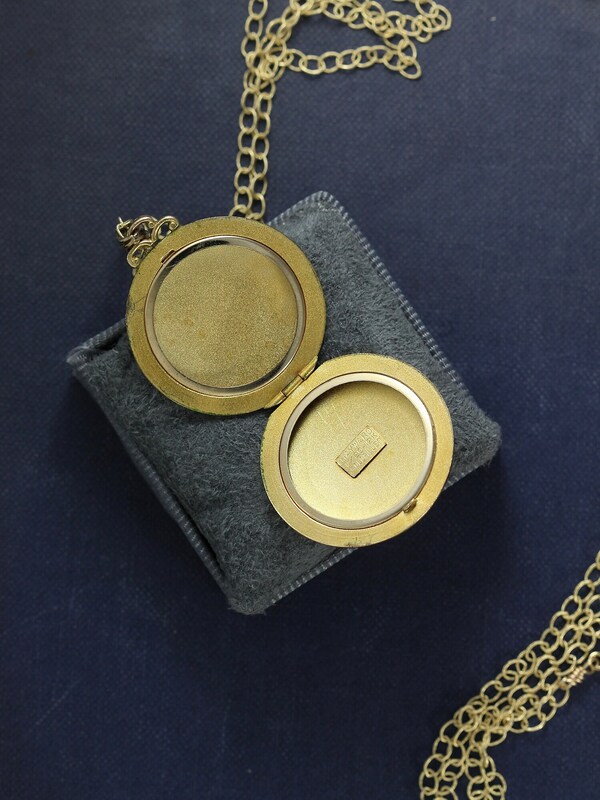 Made circa 1920's, this gorgeous and rare gold filled locket is beautifully modern in style. 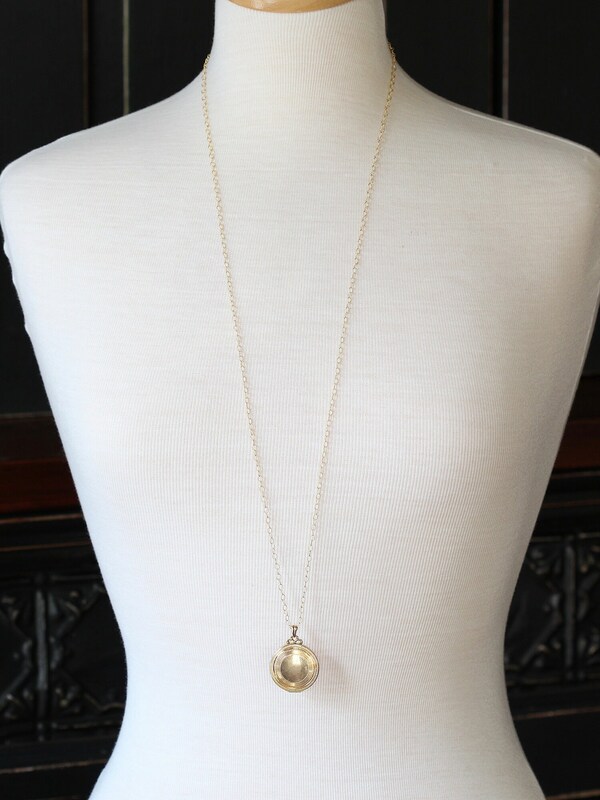 Paired with a long patterned gold filled cable chain, this is a stunning timeless statement. 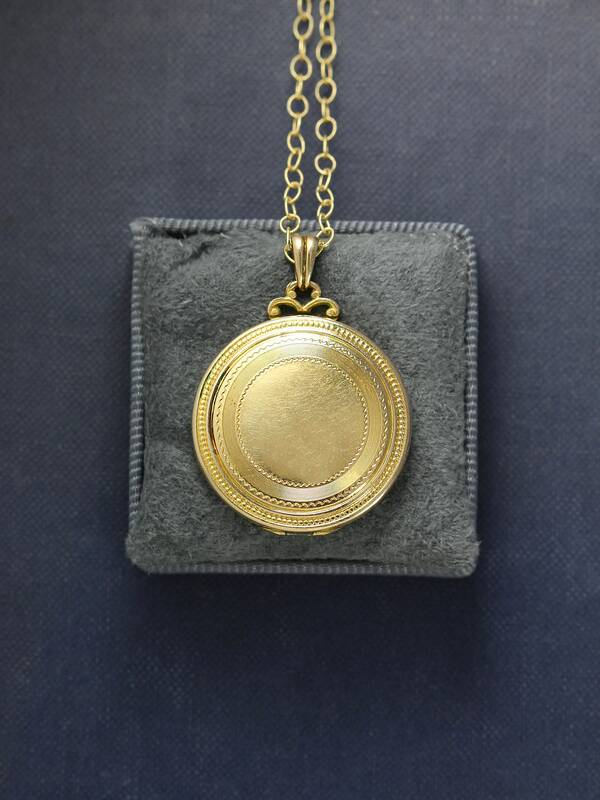 The locket is engraved on the front with bordering rings and a plain center. The outer border continues on the back along with the signature pinstripes of the Hayward company. 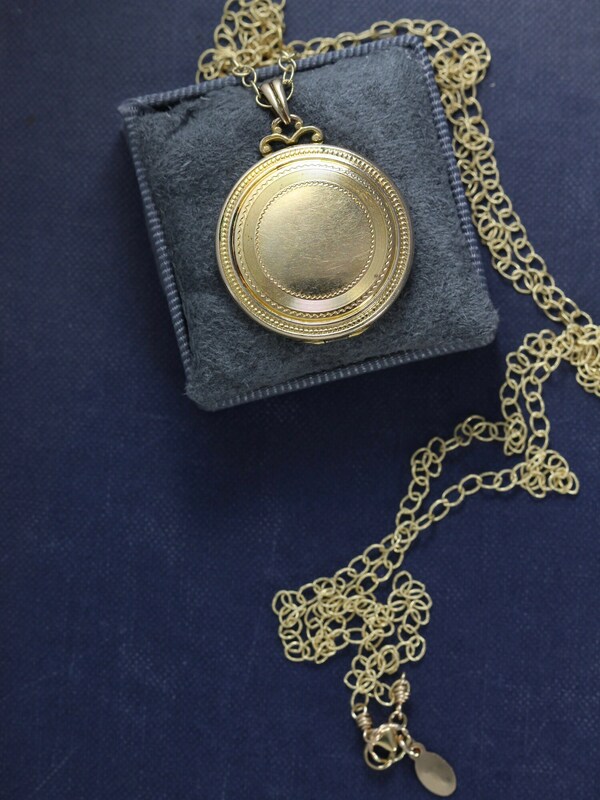 The locket is crowned in filigree detail and hangs from the original bail. 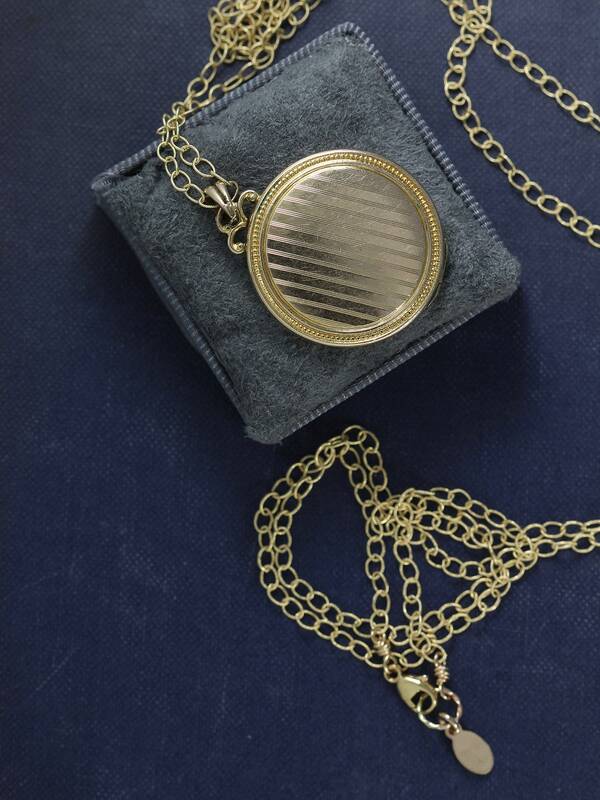 The antique photo pendant opens to reveal two removable frames waiting to hold your beloved photographs. The 14 karat gold filled chain is hand finished with a lobster clasp and ring. Signed: "Hayward 1/20-12K Gold Filled"